This guide explains how to set up your eBay postage rate tables to take advantage of Sendle’s 2-Day Delivery Guarantee. Before you start setting up your rate tables, please take a look at the eBay Guaranteed Delivery program guides. There are several steps involved in setting up your account to offer eBay Guaranteed Delivery, and the eBay Seller Centre has up-to-date information on how to go about that. You also need to make sure you have been opted-in to the eBay Guaranteed Delivery program. Without that, you will not be able to take advantage of the 2-Day Delivery Guarantee. Check which Sendle Pickup Zone you are sending from. You will need to know this for step 2. Update your eBay Postage Rate Table to match our screenshots below. The full zone information is also available at the very bottom, for advanced users. To set up your rate tables, you need to ensure that your pickup address is covered by the 2-Day Delivery Guarantee. 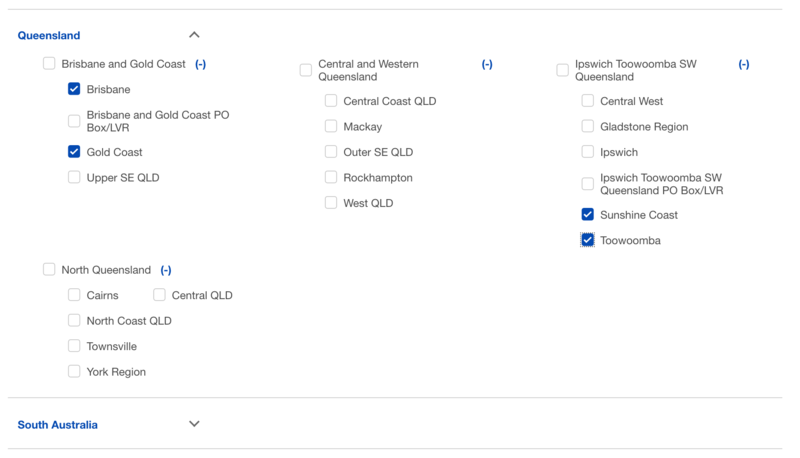 To do this, find your suburb in the Eligible Pickup Suburbs list (download), and confirm the Sendle Pickup Zone. You will need to use this pickup zone in the next step. 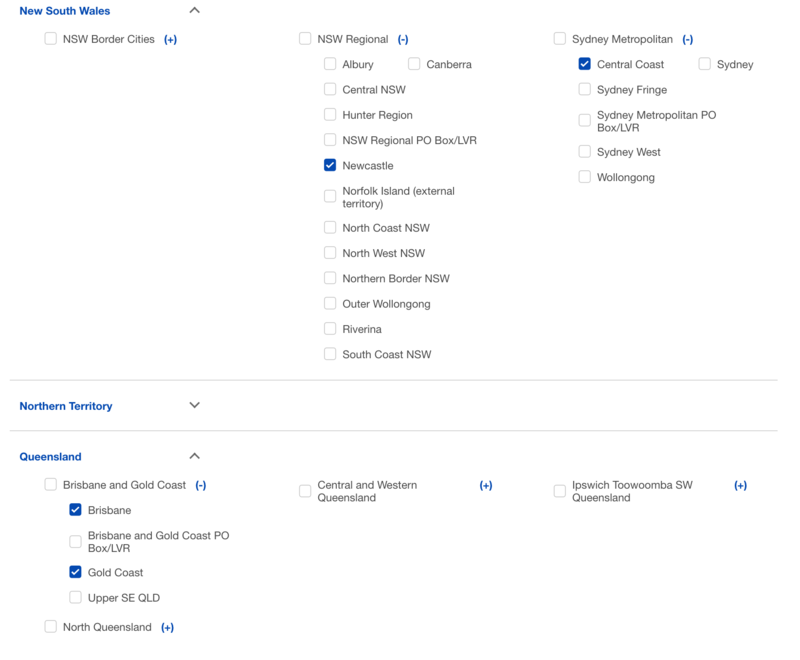 If your pickup suburb is not in this list, your parcels won’t be eligible for the 2-Day Delivery Guarantee. 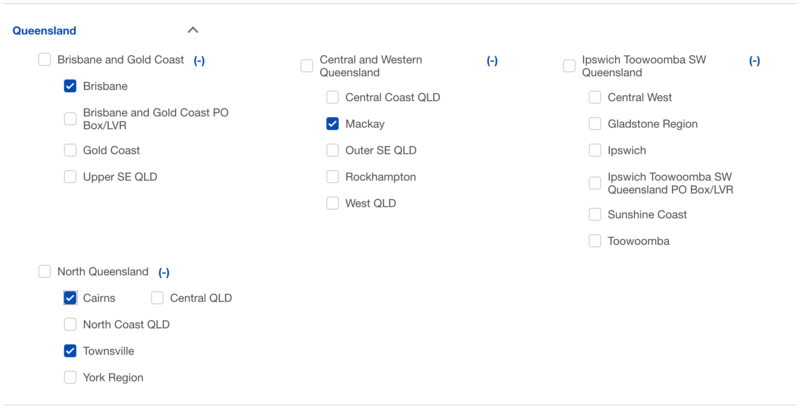 For example, if you are in Barangaroo, 2000 you can look at the Eligible Pickup Suburbs to confirm your Sendle Pickup Zone is 'Sydney'. 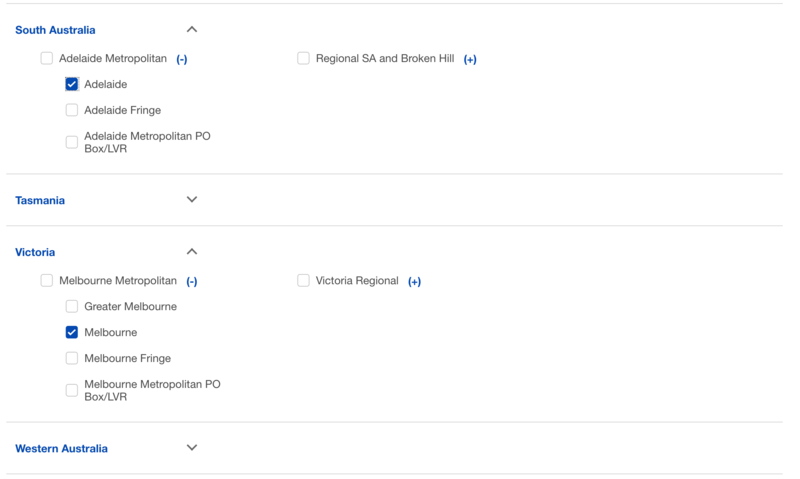 If you cannot find your suburb in the Eligible Pickup Suburbs list, unfortunately we are not yet able to support you with our 2 Day Delivery Guarantee Program. However, we intend to expand this program over time, so please stay tuned. 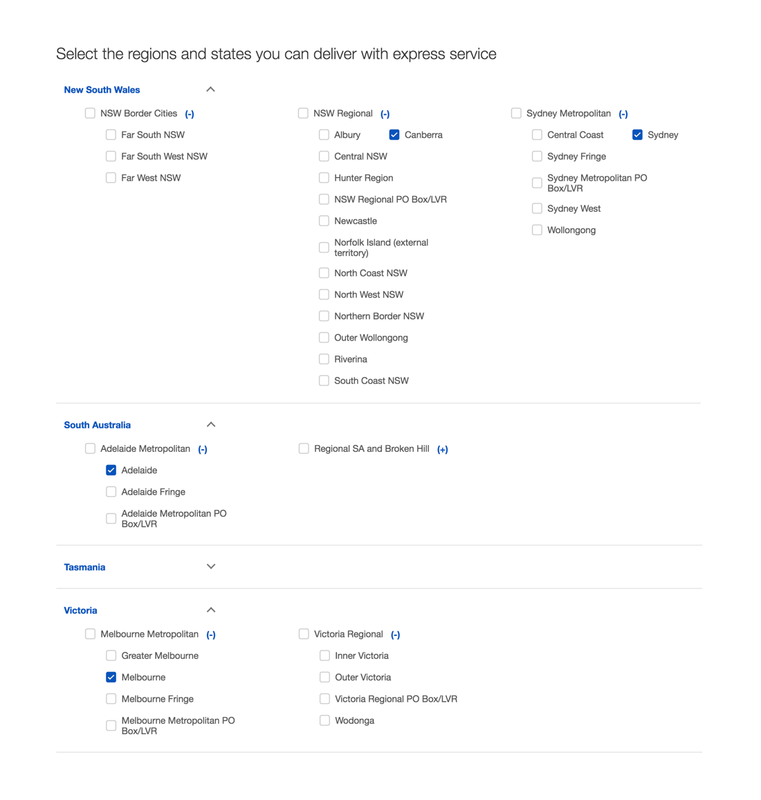 The eBay’s postage rate tables use “zones” to calculate when a parcel is eligible for the eBay Guaranteed Delivery program. Level 1 being the broadest (state level), and Level 3 being the most specific (cities). We will use the Level 3 zones to make sure that only areas covered by the Sendle 2-Day Delivery Guarantee are marked for guaranteed delivery. You will need to log in to your eBay account, and navigate to the postage rate tables for the eBay Guaranteed Delivery. The eBay Seller Centre has a detailed guide on how to access this screen. 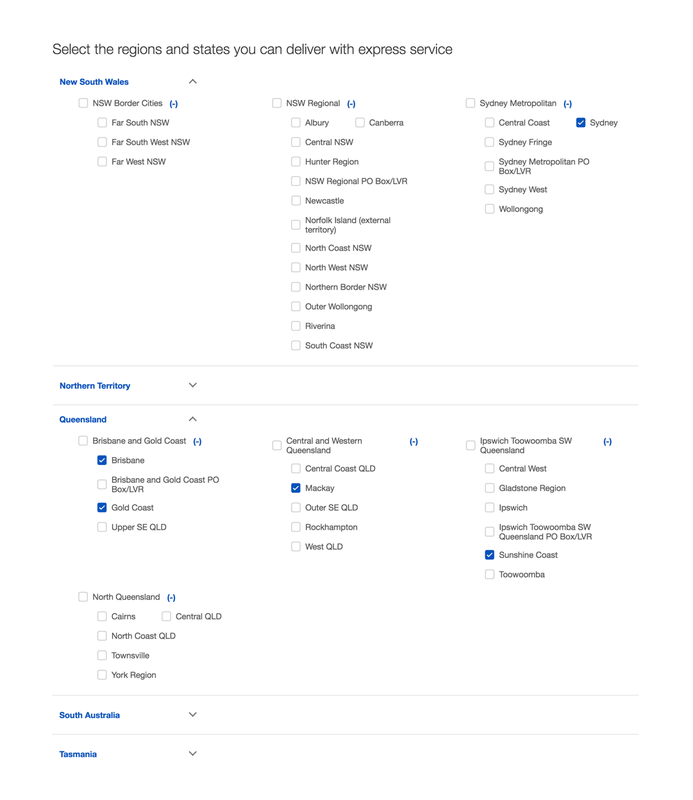 You will see a series of checkboxes for all the different eBay zones. Make sure to check only the zones from these screenshots, being careful to make sure no other checkboxes are selected. Once you are done editing your Rate Table, make sure to hit Save. Congratulations! You have now set up your eBay rate tables to take advantage of the Sendle 2-Day Delivery Guarantee! If you have any other questions, please make sure you check out the help page on Sendle’s 2 Day Delivery Guarantee on the eBay Seller Centre. Follow Step 1 above, to find your Sendle Pickup Zone. 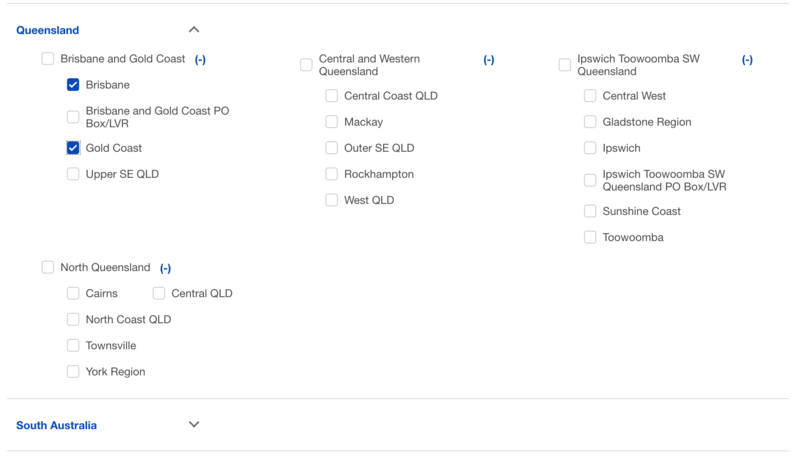 The eBay postage rate tables use "zones" to calculate when a parcel is eligible for the eBay Guaranteed Delivery program. Level 1 being the broadest (state level), and Level 3 being the most specific (cities). We will use the Level 3 zones to make sure that only areas covered by the Sendle 2-Day Delivery Guarantee are marked for guaranteed delivery. 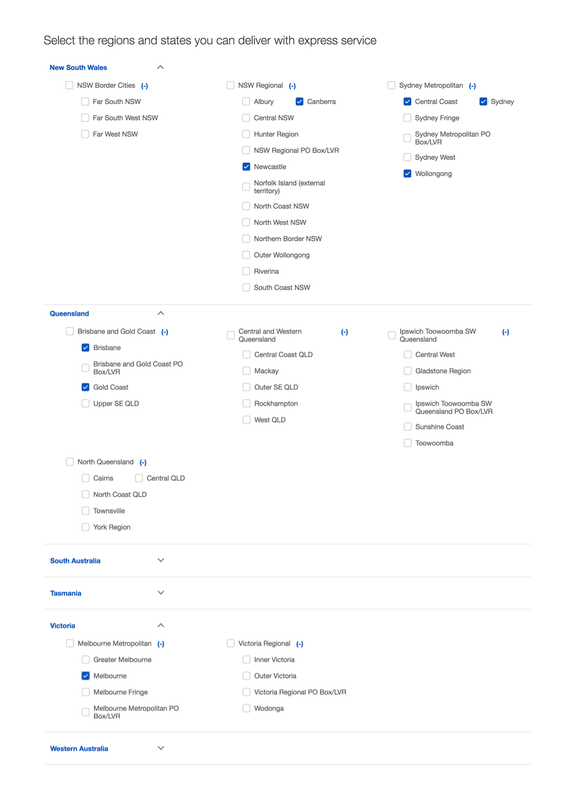 To find the list of Level 3 zones, look at the list of Eligible eBay L3 Zones in this download, and find all the zones which match with the Sendle Pickup Zone you identified in Step 1. 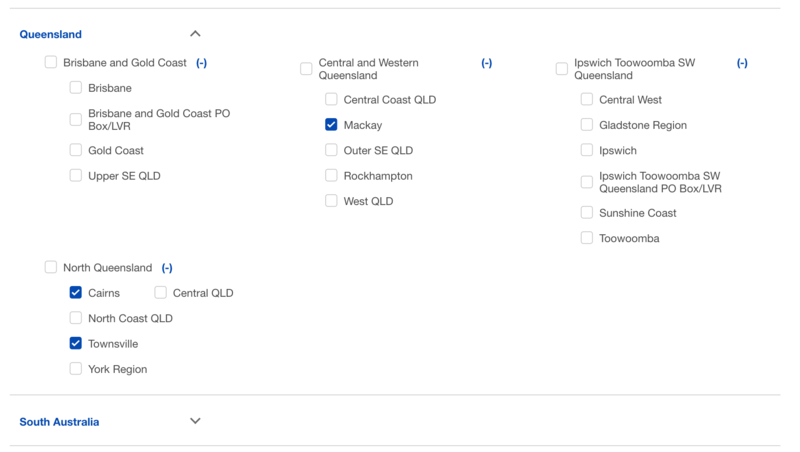 For example, if in Step 1 you found that your Pickup Zone is 'Sydney', the eligible Level 3 zones are: Brisbane, Canberra, Central Coast, Gold Coast, Melbourne, Newcastle, Sydney, Wollongong. 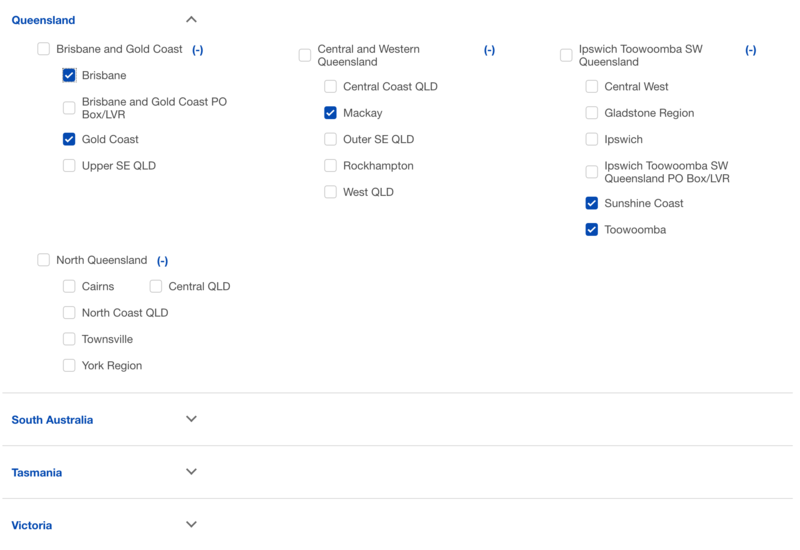 Finally, you need to set up the eBay postage rate tables with the zones you found in Step 2. 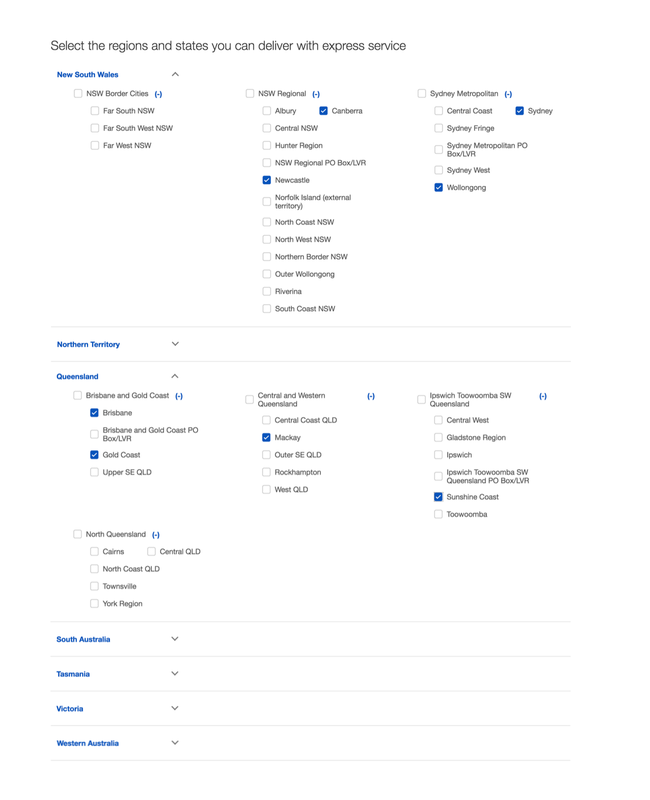 You will see a series of checkboxes for all the different eBay zones. Make sure to check only the zones you found in Step 2, being careful to make sure no other checkboxes are selected. You can then save your rate table.